Start practicing applauding for extended periods of time. While you're at it, make sure your leg muscles can handle frequent standing ovations because Uptown Players kicks off the remainder of its 2017 season March 2. 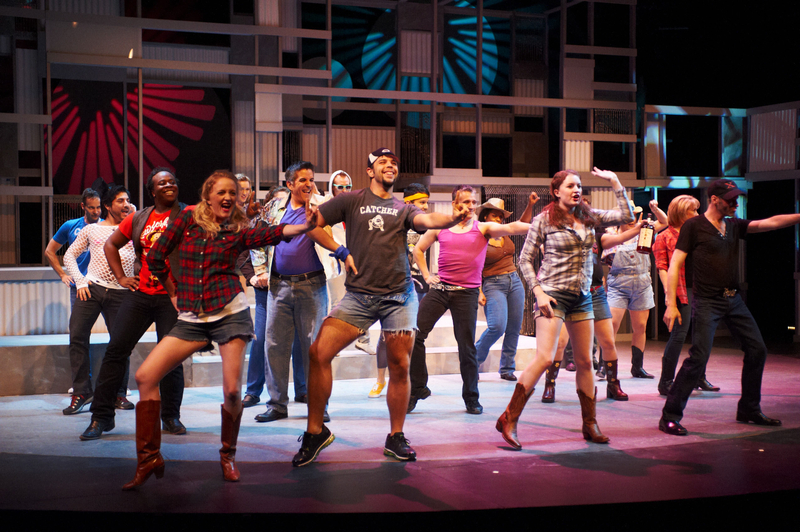 Uptown Players, a non-profit organization, provides theater lovers an impressive line up of plays and musicals and strive to create greater positive public awareness and acceptance of the GLBTQ community through the performing arts. Their home base is the historic Frank Lloyd Wright-designed Kalita Humphreys Theater near the Uptown and Oak Lawn neighborhoods, though they occasionally perform at other venues around Dallas. Next up on the Uptown Players lineup is Broadway Our Way, one of two bonus shows included this season. The musical features favorite numbers and beloved actors from past seasons, as well as previews of songs from upcoming titles. The show pits men versus women and it's easily one of the most entertaining fundraisers in town. The first mainstage show of the year is the regional premiere of It Shoulda Been You, a musical comedy about a disastrous wedding day filled with dark secrets, dastardly plots, embarrassing parents and, of course, a healthy dose of love. Making a move to City Performance Hall, the theater troupe will perform a concert version of the Tony Award Winner for Best Musical, Titanic, as the second bonus show of the season. They'll join forces with the Turtle Creek Chorale present a dramatic night of music bringing to life the harrowing tale of disaster and survival featuring more than 100 voices. Hold onto your wigs as La Cage Aux Folles, 2010 Tony Award Winner for Best Revival of a Musical, hits the stage to bring Dallas a couple hours of uproarious laughter. The classic tale follows two partnered gay men who run a drag nightclub in St. Tropez and the shenanigans that follow when a series of surprises send everyone far outside their personal comfort zones. The seasons concludes with the regional premiere of Charles Busch's hilarious farce, The Tribute Artist. The comedy follows an out-of-work female impersonator who takes on her biggest role ever – impersonating her recently deceased landlady in order to stay in her pricy Manhattan town home. Get your season tickets here purchase individual tickets from just $25 to $55 each, depending on the show. Buy your tickets today!